"An idea has no worth at all without believable characters to implement it; a plot without characters is like a tennis court without players. Daffy Duck is to a Buck Rogers story what John McEnroe was to tennis. Personality. That is the key, the drum, the fife. Forget the plot." People in the world you are looking to for entertainment. Basically one of the most super of tropes in all of fiction. 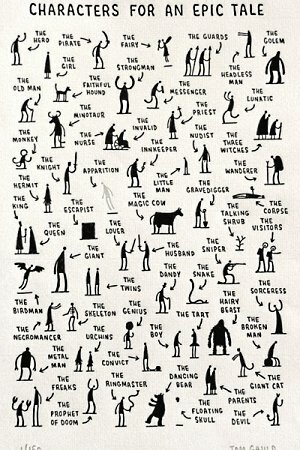 Unless you're writing some sort of abstract poem, it's pretty much impossible to tell a story without characters. The following 200 pages are in this category, out of 4,273 total. This page was last edited on 28 April 2018, at 18:45.